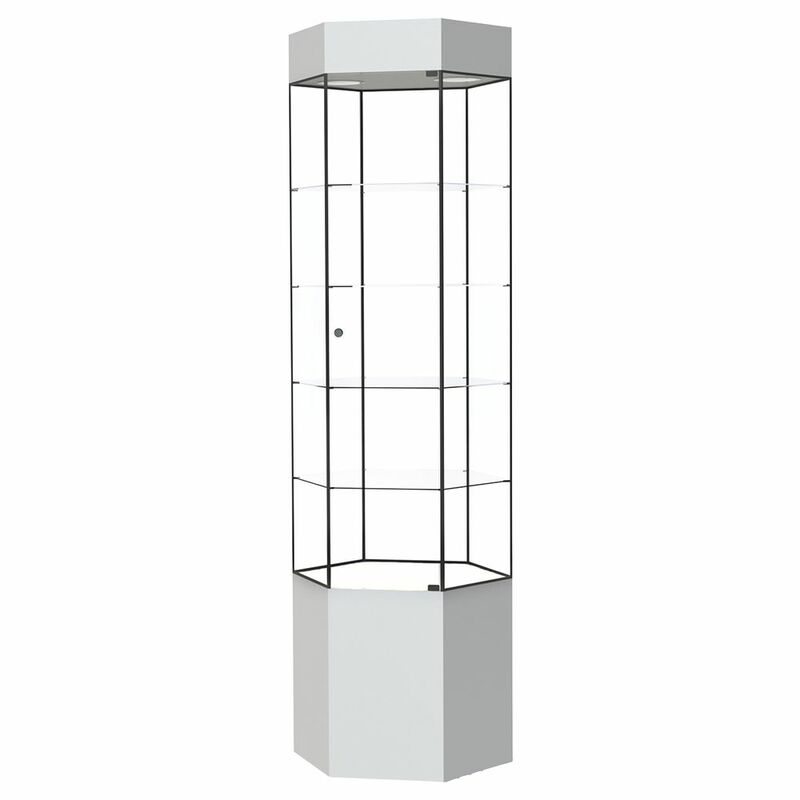 This white retail glass display tower with black frame create a striking show piece. The cabinet provides great appeal for displaying merchandise. The retail display cabinet has a steel frame a black finish and white laminate cornice and base. The cabinets are ideal for reducing unwanted handling of fragile items. Tower comes standard with halogen light and cord-n-plug out the bottom of the base. Standard knob lock is also included.